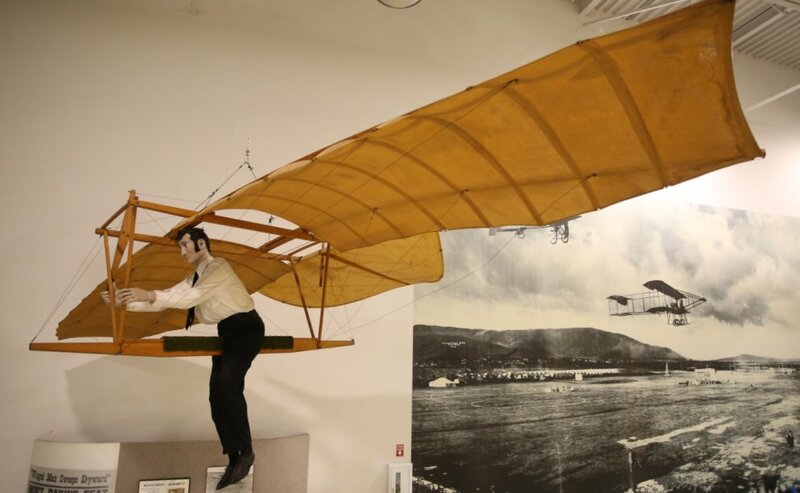 In 1884 John Montgomery flew the first heavier then air glider from Otay Mesa near San Diego. It flew several hundred feet on this first attempt. This was the first glider to fly in the Western Hemisphere without power or control. It weighed 40 pounds had a single wing with a span of 20’ and an 8’ fuselage. There was a tail of sorts, but no rudder.